Scott Marketing has been appointed by Ajman to introduce the destination to the UK travel trade. The overseas representation will educate and work with both frontline travel agents and tour operator partners about what the destination has to offer the UK and Irish consumer, as well as highlighting its USPs amongst its emirate neighbours. Just a 30-minute drive from Dubai international airport, Ajman is emerging as a tourism destination, with a host of developments and hotel openings, retail expansions and a wide selection of new indoor and outdoor activities helping to put the emirate on the map. Oberoi Beach Resort, Al Zorah, the Radisson Blu Hotel Ajman; and the Wyndham Garden Ajman Corniche have opened in the emirate in the past year. On the retail front, major flagship projects that have opened recently include Al Zorah Marina 1, a 100,000- sq-m creek-side development with a recreational park, a multitude of food and beverage outlets, the world’s largest indoor dinosaur exhibition and entertainment options for all age groups. Marina 1 offers unparalleled views of mangroves, white sand beaches, and azure lagoons. With a million square metres of mangrove forest and lagoons, Al Zorah Nature Reserve was designated a Wetland of International Importance by the Ramsar Convention. The area is home to an exciting variety of marine and plant life, and to approximately 58 species of birds, including the pink flamingo. It is located within Al Zorah community, a development with 12 km of waterfront and 1.6 km of natural sandy beaches where visitors can explore with guided kayak tours of the mangroves, creeks and lagoons. With a growing number of restaurants and hotels, Ajman’s centre offers an array of dining choices including local and traditional cuisine. New food festivals celebrate food native to the region. One new addition is the Marsa Ajman Floating Restaurant, which offers tourists magnificent views of the mangroves during a two-hour culinary cruise through Ajman Marina. There are also a number of luxury hotels and restaurants near and along Ajman Corniche, a four-km-long esplanade overlooking the Arabian Gulf. In the future, visitors will be able to enjoy Marsa Ajman; a prominent development conveniently located near hotels, which will have a mix of retail outlets, entertainment options, cafes and restaurants, and an incredible view of the Marina. There has also been continued development in terms of projects that celebrate the heritage of Ajman. 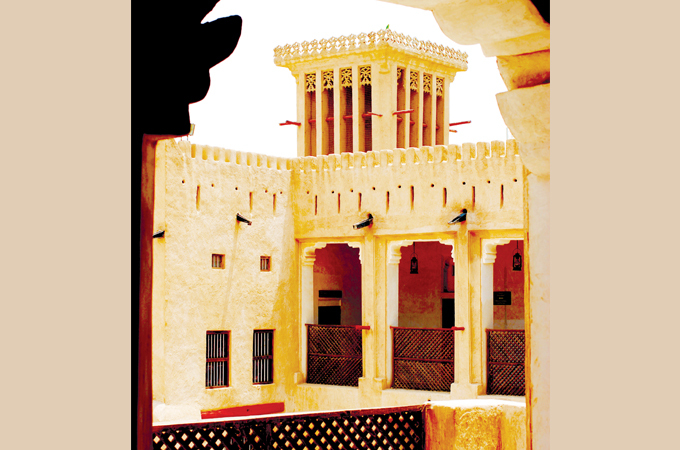 Ajman Museum is an 18th century fort with artefacts and exhibits that offer an insight into the emirate’s culture and history. Souq Saleh is the place to visit for traditional clothing, the Gold Souq sells both gold and silver jewellery, and there are daily auctions at the Fish Market. The Ajman Pearl Journey is a unique edutainment experience, where visitors may learn about the rich history of the pearling industry in the Arabian Gulf region. A Dhow Cruise on a traditional wooden ship offers another interesting way to experience Ajman. Explorers can head to Masfout – a small enclave in the Hajar Mountains, less than two hours' drive from Ajman’s city centre – perfect for hiking and biking. Manama, which is approximately one hour’s drive from Ajman’s city centre, is a lush and quiet oasis with an unspoiled natural landscape. Scott Marketing was set up in June of this year by Ian Scott. Scott has been in the travel industry for over 20 years, with eight of these spent as the UK director for Dubai Tourism and more recently two years representing Dubai Parks and Resorts. Scott has also worked with Trinidad and Tobago, Nassau Paradise Island, First Choice Holidays and Disney.